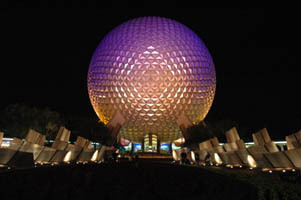 February Recap Part Two: Newly Updated Spaceship Earth – Production Update: Pirate & Princess Party 2. 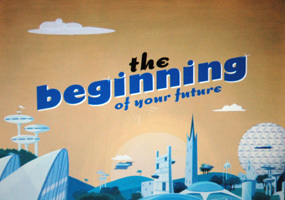 Welcome back for the conclusion of my February Walt Disney World trip recap. 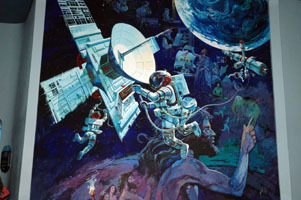 I was finally able to experience Epcot’s newly updated Spaceship Earth attraction. I arrived in Florida on the very last evening of soft openings just before the ride was to close for final preparations for the official opening on February 15th. 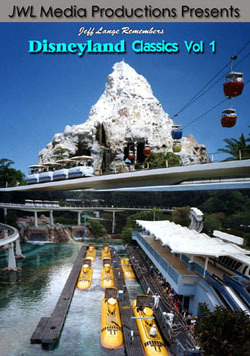 I rode a few times and recorded the attraction before coming back on February 15th to see the final completed version. The exterior looks great and I was glad to see the original entrance mural remained untouched. 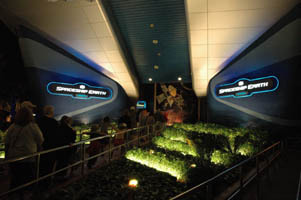 As the ride starts you are asked to look at a screen and smile for a photo image capture. I was very impressed with how good everything looks and the fantastic fluid movements the audio animatronic figures now have. 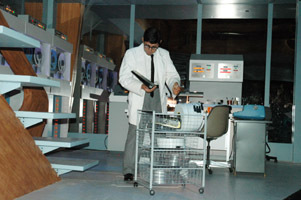 The attraction scenes are similar to other versions until you reach the new computer section near the top. I did notice the hair color on the computer guy below changed from gray on the preview to dark black in the finished version. 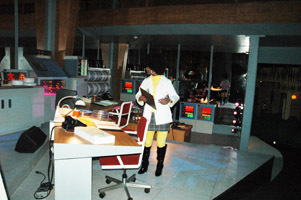 I also remember the female computer tech below from the radio booth in the older versions of the ride. 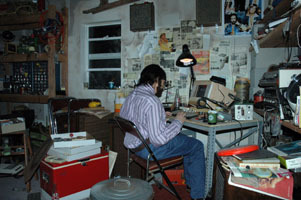 After the computer scenes you pass the mystery young computer pioneer (Steve Jobs, Steve Wozniak ?) and start the descent. 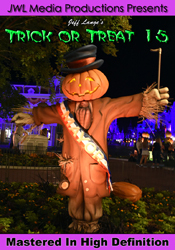 This is where things get very different from all past versions of the attraction. 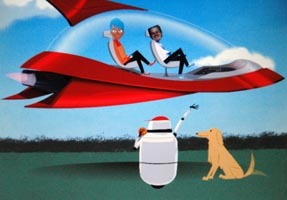 You are asked a series of questions and according to your answers you are shown a short animated ending with your own image attached to the animated body. This is actually quite funny and caused laughter to be heard from other cars on the descent. My overall impression was mixed. 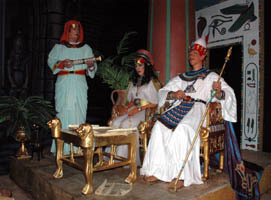 I still love the attraction but find the mood to be lighter than the three previous incarnations I had grown up with. Although Judy Dench does a fine job narrating I would have preferred a different choice, perhaps Patrick Stewart as originally rumored. I also feel the score could be plussed to a grander more memorable selection on a future update. 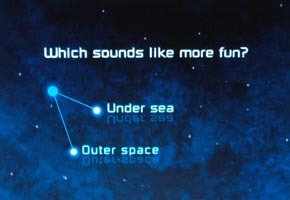 The ending was funny for me and it does remind me of the old Horizons where your choices select the finale you will get. I think time will tell for me on this one and It will be interesting to see how I feel in a year. The next all new title from JeffLangeDVD, Pirate & Princess Party 2 will be released within the next few days. 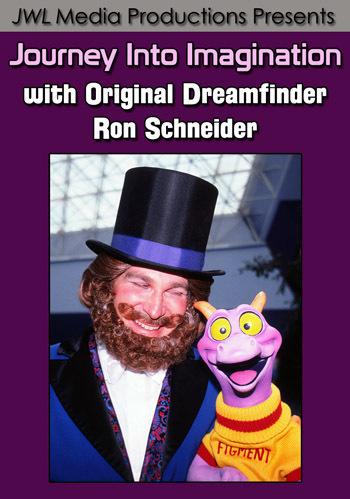 The DVD will include the ‘Dream Along With Mickey Show‘, ‘Disney’s Enchanted Adventurers Parade‘ (including all the float additions made after the original P&P last February), ‘Captain Jack Sparrow’s Pirate Tutorial‘ and the hi-light of the event, the ‘Magic, Music & Mayhem Fireworks Spectacular!‘ Please check back soon for more information. Click here to browse theJeffLangeDVD store. 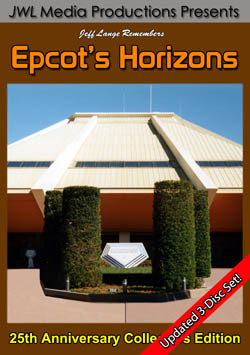 Click hereto browse all Epcot Center titles.